Once again crude oil prices have rebounded from near multi-decade lows, and the rigs are going back to work in the North Sea, and with the U.S. expecting to open the floodgates for drilling throughout the country, business should pick up significantly. Producers and explorers for energy products have generated appreciable efficiency gains since the beginning of the recent downturn by leveraging improved drilling techniques while using varied, and lower cost, technologies. To benefit from these technologies Oil & Gas producers and explorers are using satellite technology to take advantage of the recent rise in price and benefit from cutting edge antenna systems for the very least cost. C-COM has been providing producers and explorers of energy products with its iNetVu® fully motorized auto-acquire antennas for over 15 years. Today, C-COM’s 25 different antenna models deliver Broadband Internet via satellite to the most remote areas, in the harshest environments, with just the push of a button. The systems are cost effective, reliable and easily field serviceable. 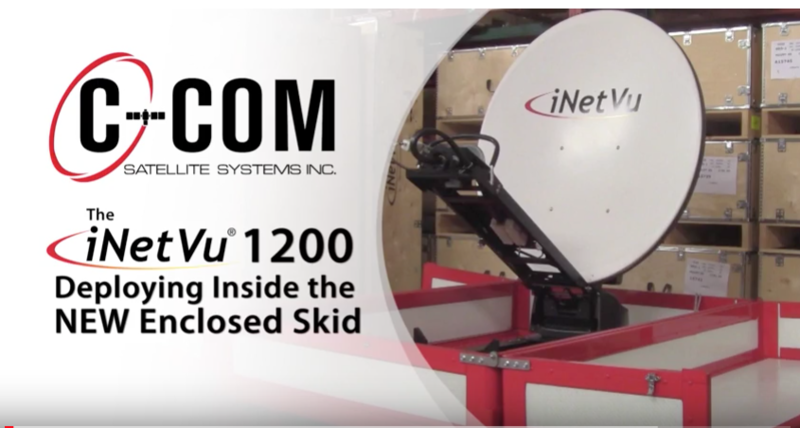 C-COM’s new generation iNetVu® mobile antenna systems are also ‘zero maintenance’, which removes the requirement for periodic greasing and other costly upkeep. The company is also developing a cost-effective mass producible flat-panel electronically steerable antenna system with no moving parts that has the potential to transform the satellite industry. C-COM’s iNetVu® systems are more reliable and advanced than ever before, taking down the total cost of ownership for Oil & Gas service companies and their end-user customers. 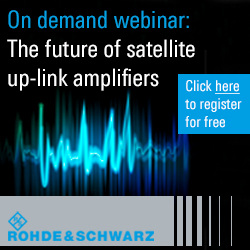 Combined this with decreasing airtime costs, because of a competitive Ku-band market and a growing Ka-band HTS model, the improved technology should increase efficiencies and continue to reduce total cost of production. Skids, either open or enclosed, which support 3 of C-COM’s most commonly used antenna models for oil and gas exploration are also available. The skids can be transported using forklifts or hoists making it possible to rapidly deploy the antenna system without the need to mount it on a trailer or a vehicle. Check out the video here. A reliable communication solution should reduce downtime for drillers and explorers, many of who are required to halt exploration and production should there be no active communication link available. Such work stoppages can be extremely costly and have a marked effect on a company’s bottom line.